What is now known as the military alphabet or military phonetic alphabet was once known as the International Radio-telephony Spelling Alphabet. Terms such as alpha, bravo, charlie, delta, echo, foxtrot and the like are a result of this system used to ensure accurate communication of language. The characters and pronunciations were first created by the International Civil Aviation Organization in the 1950s to streamline communication so that transmissions came across as clearly and as efficiently as possible. It has since been adopted by many groups. This is a result of even a small miscommunication can mean disaster when it comes to aviation or any type of navigation. This military alphabet is known to different groups by different names. For that reason, it can be known as the Marine alphabet, Navy alphabet, or Army alphabet among others. 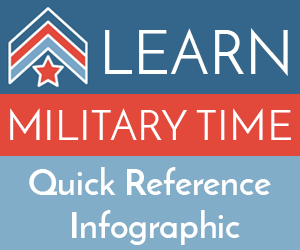 The military alphabet offers a designated word for each letter in the English language alphabet. The words that are used such as Tango and Foxtrot were specifically chosen based on their distinct pronunciation and their low risk of being confused with a similar word. The system as we know it was tested by the International Civil Aviation Association by observing thousands of transmissions from 31 different languages before confirming the alphabet we now use today. The chart below shows each character of the alphabet next to the code word along side its pronunciation.